Community violence is unfortunately a part of daily life in many urban neighborhoods. The work of Professor Dexter Voisin shows how the violence can have a particularly devastating effect on young people, subjecting them to emotional and psychological distress that disrupts their lives, makes them more likely to join gangs, engage in risky sexual behavior, and drop out of school. Voisin, who has been studying the issue for 25 years, is working on a book that will be the first of its kind to offer an integrated analysis of the historical and structural aspects of community violence, the behavioral impact of repeated exposure to violence, and the opportunities for new policies and practices that viewing community violence through this wider lens might provide. 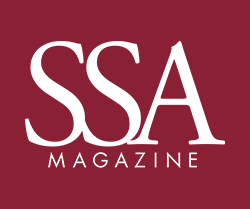 Among the stellar faculty members at SSA is Charles Payne, the Frank P. Hixon Distinguished Service Professor, who is retiring and taking on a new challenge in Newark, New Jersey. During his career, Payne has blended influential scholarship, community activism, and public service with exceptional teaching. He is the author of a number of influential books. Payne has spent the bulk of his career in Chicago, where he has conducted research and worked on education and community development issues on both the West and South Sides. He is also one of the founders of the Education Liberation Network, a national coalition of teachers, community activists, researchers, youth and parents, devoted to empowering young people—particularly low-income youth of color—to be agents of their own success. Permanent supportive housing has become a popular weapon in the fight against homelessness. The idea is to offer homeless people two things they badly need: a place to live and the support of social workers who can help them confront the chronic problems that are often associated with homelessness, including mental illness, substance abuse, and HIV/AIDS. But what happens when the social workers can’t do their job? How to teach deaf children language has been a controversial issue, especially with the advent of modern hearing technology. In an article published in the December 2016 Social Service Review, a group of researchers, most of whom have hearing loss themselves, says that a “speech only” approach using technology is hurting many deaf children by preventing them from learning language in their first critical years, resulting in impaired brain development and inflicting lasting harm on their cognitive and psychosocial functioning. The role of academic freedom, unfettered discussion, and inclusion at American universities became lively topics at a panel discussion at SSA titled “Academic Freedom and Diversity: Viewpoints on Institutional Practices and Tensions.” Several hundred students, faculty, and members of the University community gathered January 3 in the SSA lobby to hear speakers from the UChicago faculty and other institutions talk about the meaning of those concepts. A video recording of the discussion is available on C-SPAN.org and on the University/SSA’s YouTube channel: https://youtu.be/LHVetHA-QeQ. A disproportionate amount of care and expense at many hospitals comes as a result of treating a relatively small number of patients with multiple, complicated conditions. GPHAP Those conditions are frequently impacted by social and psychological factors, something that SSA students are learning more about through their participation in The Interprofessional Student Hotspotting Learning Collaborative, a six-month national program, in which interdisciplinary teams meet with patients with complex medical and social needs to better understand those needs. How can the US spend so much money fighting poverty and be the wealthiest country in the world, yet still have so many people who are barely surviving? That is the question that drives H. Luke Shaefer, who has built a career shining a light on those living on society’s margins. Shaefer’s prodigious research has been published in academic journals, in mainstream media, and in his widely-acclaimed book, $2.00 A Day: Living on Almost Nothing in America. The research has made him an authority. The future of the Affordable Care Act remains uncertain at this writing. ACA proponents can boast of many accomplishments. It has reduced the ranks of the uninsured by 20 million. It has improved quality and safety of American medical care and reduced financial distress associated with medical bills. Yet for all its accomplishments, the ACA did not fully address one reality that neither Democrats nor Republicans fully acknowledge: Coverage remains too costly for many low-income workers. "I had no idea I was white," said comedian and Daily Show host, Trevor Noah, who was invited by the School of Social Service Administration to speak at the University. Trevor Noah eventNoah is South African and was born to a Swiss father and Xhosa mother in the waning years of Apartheid, a time when intimate relationships between blacks and whites in South Africa were a crime. In addition to forcing his family to keep him hidden from the authorities, being mixed race even influenced how his family related to him. Mingo aspired to draw from his law background to support communities and individuals within social work. He received his AB degree from Brown University in 1996 and his JD from the University of California, Berkeley School of Law in 1999. After law school, he worked as a senior law clerk for the Supreme Court of Guam and later as a case worker for former Congressman Jesse Jackson, Jr. Services were held on March 25 at the New Faith Baptist Church in Matteson, IL.